Everyone tells me that I am blessed to be staying on the island of Penang; the famous Pearl of the Orient which the state is well known for and a badge it wears proudly, all the time. Penang is like a treasure island, on its own, with the many gems and specialties all over the island to make it deserving of its title. Like a Pearl, it truly shines on its own. For all its glitter and worth, Penang wears many hats though there is one unmistakable crown that the whole world, or at least the nation knows it by, is that it is almost synonymous as the Food Capital of Malaysia. I say almost, as there are also contenders to the crown; namely its neighboring city of Ipoh and farther down south, Melaka; all of which boast of their very own unique styles and specialties to rival that of Penang, though in the name of tourism, the island still holds much of the upper hand. 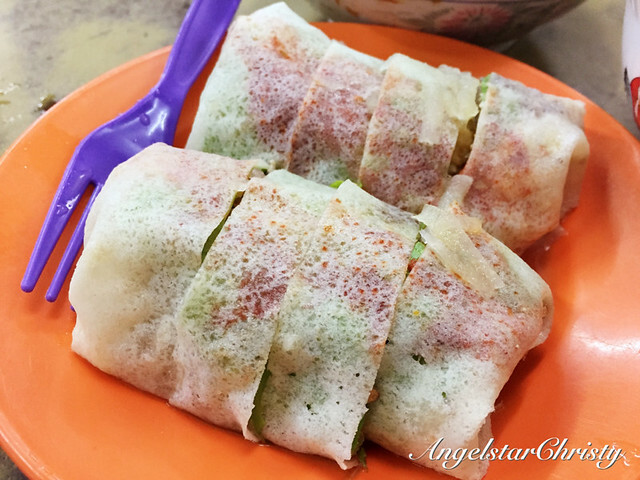 The allure of Penang's colorful arrays of food fare lures tourism in masses to the island as they find themselves plagued by the images and cravings teasing their memories and appetites after that taste encounter here. 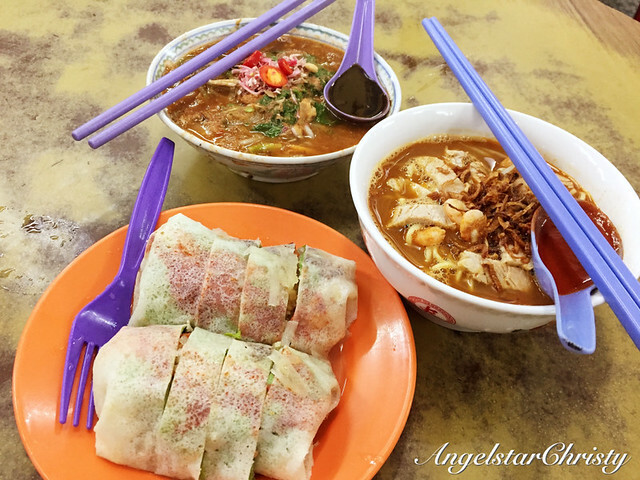 It is like a drug, that addiction that most people claim they have when it comes to the exotic tastes of Penang food, which just lingers on their taste buds and seduces their mind to return for another dose, in repetition. Penangites who have left their island in pursuit of their careers, studies, or various reasons, claimed they could never find that taste to match that local impression; one that their taste buds had grown too accustomed to/comfortable with or simply, it is of familiarity. It is that taste of home, and that is unparalleled. To Penangites, that is where the heart is and their appetites as well. No food tastes the same, as Penang food. The answer lies in the sprawling alleys all over the island, in the form of little carts and makeshift stalls standing in almost every corner here. If there is one thing that Malaysia, or Penang is loved for, that will be the varieties found in these stalls. 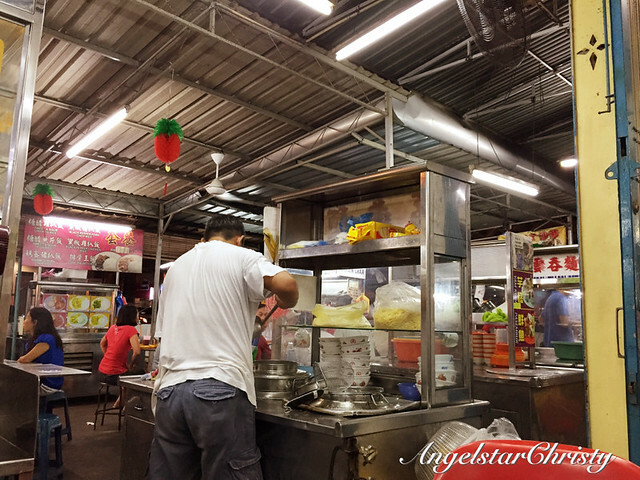 Street Food, or Hawker food in general. They are everywhere, or used to be everywhere as there seems to be fading trend in the wake of modern development and the growth of contemporary cafes and restaurants everywhere in the country, and on the island. These are the new successors, and they are the new wave generation in the food industry. However, old traditions never die, and most of them still adopt even the concept of the street food, into their trade; with the incorporation of the street fare into the menus amidst the air-conditioned background. It is a nice concept, but it will take time to pull the crowds away from the conventional style of sitting, crouching or even standing in the hot sun to enjoy their bowl of noodles, plate of char koay teow or even that bowl of Cendol/Ais Kacang. It is incomprehensible, but there is just that strong attraction that even the rich and famous would want to join in the line, on the streets, by the drain to just have their fix. I did not grow up on this island, although I have been to Penang so many times throughout my childhood and I have seen for myself, the craze surrounding the street food culture here. I have tried, though I don't frequent the stalls or street food fare that much. No, I am not fancy or classy, I think it was more towards the insistence of my grandmother who would always welcome us with her proud home cooked dishes, and there's my mum, who would take great care of us to have proper and hygienic food. Spoilt? A little, but that's where I have developed such a weak stomach for everything. That's the irony of it all, that I have then found my first job and somehow settled on this island. The island just kept me coming back despite relocating for my jobs back to my capital city twice, but I always end up on this island and that's the magic of it. My relationship with Penang has been with a lot of twists, and growing up, I was never really that fond of the island as we would be spending our school holidays here. At least, most of our holidays. The long car rides (we've survived the trunk roads and the highways) were just unbearable, well, children don't like to be cooped in a car for too long anyway, and for various other reasons, Penang, was well, nothing much to me. The street food, as I have mentioned, were not as exciting to me, as it is to most of the people. However, over the last few years, as I have settled here, I have learnt to see, enjoy and love Penang for its enchanting beauty. This is an island which is easy to get around; I could see why islanders are often so proud and refuse or often reluctant to leave their abodes. 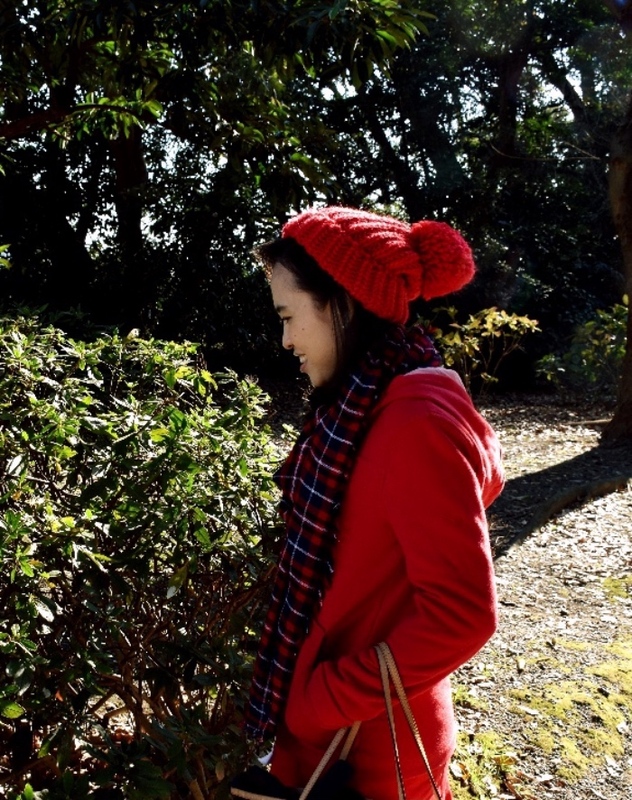 Safety is considered still, relatively not too bad, compared to many other places out there, though precautions and the usual measures should be observed, at all times. The food, though, remains somewhat perplexing to me, despite the raves and it is often the topic which many would just badger me with as they would yammer about "How lucky I am" to be in Penang. I am picky, that's true and I do see the allure of all that variety but if you were to ask me if I love all of them, I would hesitate. True, no Penangite would be eating All these food on a daily basis and that saying that we are fortunate is based on the fact and their reference to that ease of accessibility we have to all these food, since, well, we are ON the island itself and we could just drive, or even walk to get our fix. Despite the wide variety out there, I surprised myself that I do not really fancy them much, BUT, before you judge, I do have my personal favorites too. (It's a short list, but nevertheless, there IS a list). 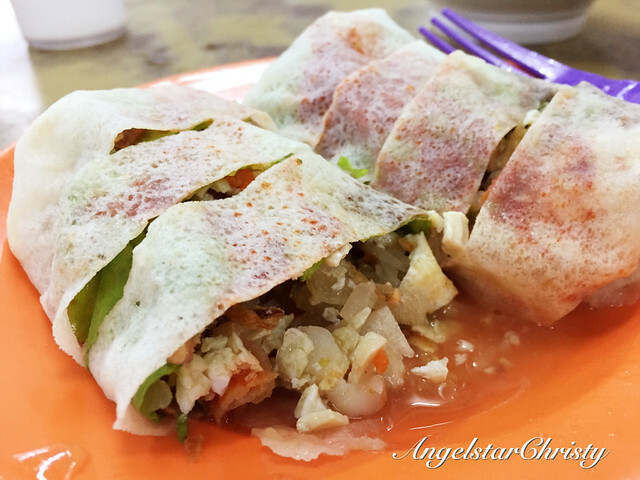 If I really have to pick a favorite, it would have to be the Penang Popiah. Granted, this is not something entirely unique and can be found all over Malaysia. In fact, this is a dish which originated from the Teochew and Hokkien communities in China; mainly from the regions of Fujian province and Chaoshan, making this a cross culture dish as it mixes both the Fujian and Chaozhou tastes, and can be commonly found in countries like Taiwan, Singapore, Thailand and Malaysia. Even in Malaysia, you could probably find this wherever you go and there are two versions; one served with soup/gravy, which is the wet version, or the other; served as it is directly, the dry version. However, I always preferred the Penang version. Yes, this can be found everywhere, but if you were to taste it, particularly in Malaysia, they are different. What can be so different about stir fry jicama, with minced tofu, rolled with shallots, eggs and lettuce wrapped with the rice paper roll? Most versions in Penang contain just those ingredients involved, along with shrimps or crab meat sometimes. It is a taste of simplicity. There are those who innovate with meat floss, dried jerky, seaweed wrap, baked croutons even, and roasted pork/chicken. 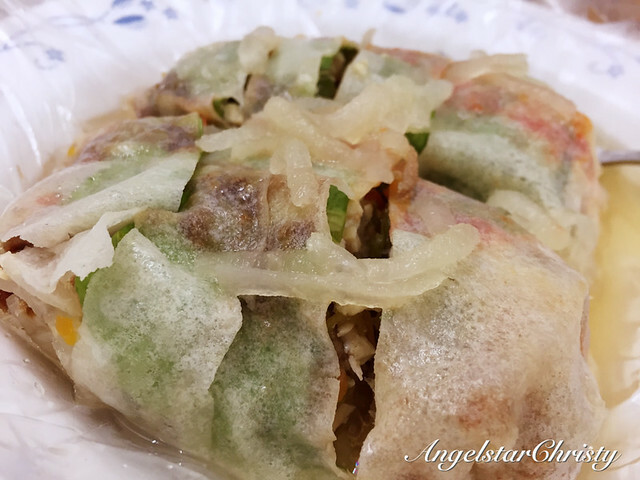 It is still the taste; that taste of familiarity that I have found love with, in this version of Popiah. It is just not the same with everything else; it is inexplicable. It is perhaps, that Taste of Home, as they call it. For that very reason, Penang's food fare will always remain in the hearts of many, but most deeply and strongly rooted in those who call Penang their homes, or even second home. That is the reason why many would return, not because they love all the food or everything Penang has to offer, although there are those with a hearty and blessed appetite/hearts who find happiness in everything they eat (bless these people). It is always about the taste; that taste of familiarity, and most of all, of magic. That is the very allure of the Penang food fare, and that is deserving enough of its Food Capital, or paradise title. I am born but not raised in Penang, but I have stayed in Penang for more than a decade now; traveling in and out of the island frequently.